Last week we had the pleasure of meeting Naomi Timperley, who brought her amazing personality to PushON. Naomi was part of the Maserati 100 in 2015, a definite list of entrepreneurs who support the entrepreneurs of tomorrow from the Centre of Entrepreneurs. Naomi has been a mentor for the last 7 years and was nominated in 2015 by the European Mentoring and Coaching Council. 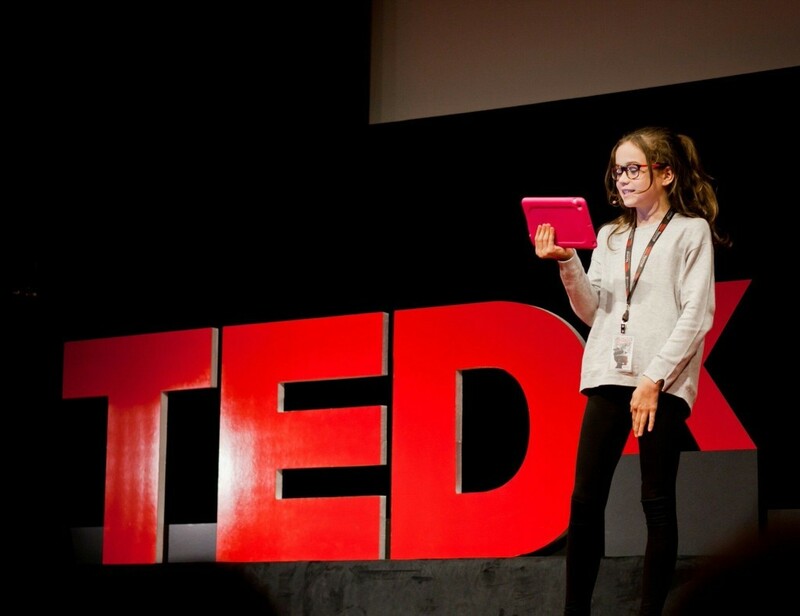 Last year she did a TedX talk with her 11-year-old daughter in America on the “Power of Children’s Ideas”. Despite all the difficulties balancing her work and home life, Naomi has proved to all of us that having commitments to your children doesn’t restrict you from being an entrepreneur and this is the type of message we want to send to women. Naomi grew up not being too sure of what career path she wanted to take. She wasn’t very academic, so after sixth form & college worked in travel for 7 years and then after moving to the north worked in recruitment for 6 years including IT and Travel Recruitment. She then settled down with her husband and her children and was able to take four years out of work to dedicate time to nurturing her children. Whilst at home with her children, she was researching party ideas for her daughter and came across a US events company called Baby Loves Disco, based in 27 locations in America and spread essentially by word of mouth and PR. Baby Loves Disco is a daytime dance party for parents with babies, toddlers and young children (0-6 years) with real club DJs spinning and mixing retro floor fillers. She emailed them on a whim and figured that if she could juggle life with her kids she could take on anything. She was told that somebody had already tried to bring it to the UK (a Sky news presenter) but that it had failed. However, she took the challenge on, and before the event happened in June 2007 she got a two-page spread in the Saturday Times Knowledge Supplement. In September 2007 she launched in London and Manchester, and it snowballed from there. I think this was Naomi’s big break; this was her calling and within 4 years Baby Loves Disco was in 9 cities across the UK, had a TV advertising album deal with Universal and licensing deal with Butlins to run branded events. Baby Loves Disco had baby punters queuing up down the street and the event achieved worldwide press. In 2008 she was asked to take part in Dragon’s Den after being contacted by the BBC – she pitched with her American business partner and was offered investment by Deborah Meaden, although she turned it down due to the large equity requested. From Naomi’s huge success in the past few years, Naomi set up a youth enterprise employability company, Enterprise Lab with two guys whom she met on Twitter. Alongside that she also set up a consultancy specialising in partnerships and engagement for startup and growth businesses. She has been working in tech and digital sector for a few years now although she doesn’t claim to be techy despite working with a lot of tech companies. She co-founded Tech North Advocates in April 2016, which is part of Tech Global Advocates, a non-profit advocacy where tech companies help each other. She believes the ecosystem that we’re currently in within Manchester has a very silo’d culture, and that companies need to start working with each other more closely. Naomi is also currently chair of an investment platform called Capital Pilot. on the board of Future Everything and an Honorary Industry Fellow at Salford University with a tech and digital focus. She actually went to university as a student for the first time in 2015 as a mature student, where she achieved a PGc in Digital Communications. She tells us that she loves working with universities, and recommends that companies work with them as it’s a great way of gaining knowledge and also working with amazing students. 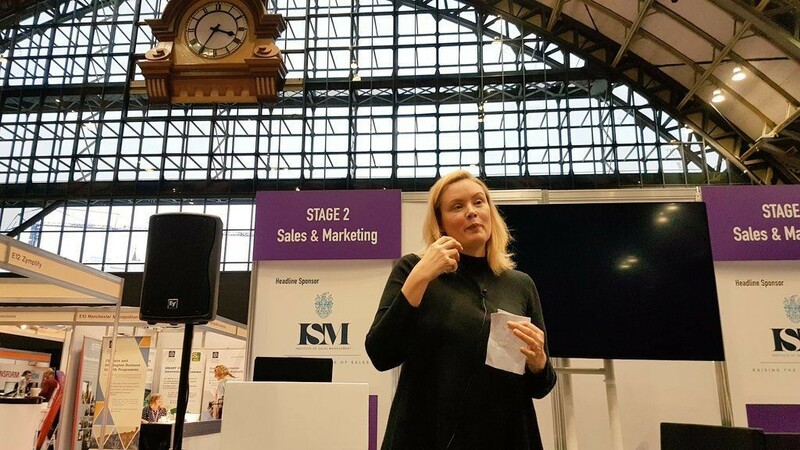 I got the pleasure of seeing her again at Smarter Business Tech Live 2017 where she gave a speech about humanising digital connections. A lot of companies get sold into having everything automated in Social Media, so they miss the mark on having engagement. When you talk to people, that’s how you make connections. If we want to get our message out there, Naomi’s encouraging us to put ourselves out there as staff. If there are panel opportunities, go for things like that. Go to mixed events, not just women’s groups to do some networking. That’s the main way Naomi’s set up her consultancies and gets involved with so many things. A lot of people suffer with stage fright or nerves when it comes to public speaking, and that’s probably one of the main reasons why we may feel inadequate or afraid of speaking. There are ways of managing this – a friend taught Naomi about the Emotional Freedom Technique (EMT). If you’re nervous or anxious, tap on your hand, heart or head. Naomi explains that girls’ choices in career paths are sometimes shaped by upbringing or schools and the way they teach young girls and boys. That’s why apprenticeships are great as they give young people the opportunity to taste working life and in a few years they’ll be in a better position than their peers who have gone to university. Naomi has been working with Wakelet and the Duke of York’s iDEA (Inspiring Digital Enterprise Award) to promote digital skills. Naomi is also working with Digital Advantage who work with schools and colleges to set up pop digital agencies. 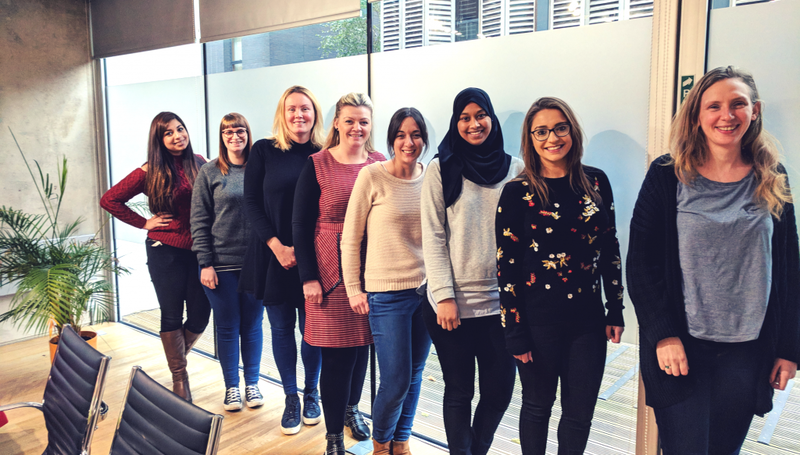 There are a lot of positive changes being made, with organisations such as Creative Equals empowering women and encouraging girls to go down these career paths. However, there are still lots of changes to be made. If you saw the disastrous DEAs last week, you’ll know that even in 2017 we still have minds that seem to be stuck the 1970s, even in a sector that barely existed when such attitudes were considered normal.